Last month, Xiaomi launched the Poco F1, which was the first device under its new sub-brand Poco. The device made its name by being the cheapest smartphone on the market to sport the Snapdragon 845. 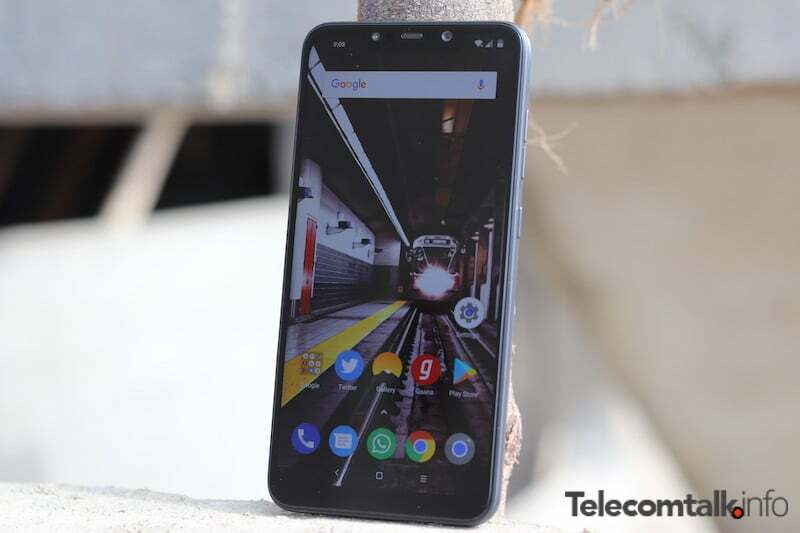 With a price tag of around Rs 20,000 and packing very impressive specifications, the Poco F1 garnered massive sales. However, soon after a lot of users bought the phone, the Mi forum started filling in with complaints about bugs on the Poco F1. 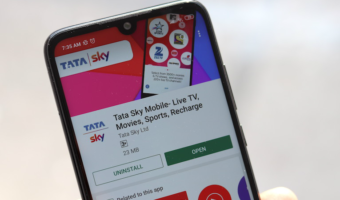 Although most of the complaints on the panel were about software which is easily resolvable, some also reported of issues like screen bleed for which the buyers had to replace their phones. To target these issues, Xiaomi has rolled out a new update which fixes the bugs and brings other improvements on the Poco F1 device. The new update comes in the form an OTA package of size 430MB, and it notches up the current MIUI version on the Poco F1 to MIUI 9.6.22, up from the previous version of MIUI 9.6. Under the UI, the original operating system remains the Android 8.1 Oreo only. To recall, Xiaomi is also testing the MIUI 10 on the Poco F1. However, that update remains limited just for the Beta users. The highlight of this new update is the Face Unlock feature which had been previously requested a lot. Apart from this, the update also brings a lot of improvements and bug fixes. The package has already started rolling out in many regions, and if you’re in Spain, France, Sri Lanka, Poland, Nepal, and Bangladesh, then chances are, you have already received the update for the Face Unlock feature. Apart from Face Unlock, the phone now also gets the August Android Security patch, and the camera and phone performance get optimised. As per the company’s claims, the image processing and the dual-mic recording have been improved on the device. Other issues like navigation buttons being offset, the status bar height, app crashes, and sound have also been resolved. The Mi Roaming function has also been done with after the update. The Poco F1 sports a 6.18-inch LCD panel, and it renders a full HD+ resolution on a screen with 18.7:9 aspect ratio. The phone does come with a notch up front, and it is also protected by Gorilla Glass. However, the body of the Poco F1 is made out of polycarbonate which does not necessarily make the Poco F1 feel like a premium phone given absence of glass or metal. However, the Armoured edition of the Poco F1 does manage to come with some impressive aesthetics. Powering the phone under the hood is the Snapdragon 845 processor which comes with 8GB of RAM, and 256GB of internal storage. The phone boasts of sporting a unique LiquidCool technology which keeps the temperature of the phone under control while gaming and has also been claimed by Xiaomi to improve the life of the device. For expansion of storage, the phone also grants a microSD card slot. For camera and imaging, the phone sports a dual rear camera setup comprising of a primary 12MP sensor accompanied by a 5MP depth sensing unit. The camera comes enabled with a lot of additions like AI assisted features, including scene detection. On the front, the phone sports a 20MP sensor which also doubles down as a Face Unlock. Additionally, the Face Unlock technology is made better by an IR camera which allows the phone to unlock even in the dark. The Poco F1 packs a massive 4000mAh battery, and it comes equipped with Qualcomm’s Quick Charge 4.0 fast charging technology. There’s a rear-mounted fingerprint sensor on the back, and the phone also comes with Dirac HD Sound tech. On the software front, the phone boots MIUI 9.6 out of the box, however, as we mentioned above, there is a new upgrade for the software available which bumps up the version to MIUI 9.6.22. Off Topic : Also Got Update on Redmi Note 3 with July Security patch with MIUI 9.6.2.0 , but still not got airtel VoLTE patch. Won’t get in my opinion. I’m also using the POCO F1 6GB RAM variant, but didn’t get the 9.6.22 Miui update.